I met Geraldine earlier this year and was delighted when she asked me to create some bespoke cakes for her recent garden party. Geraldine is behind the award-winning design & lifestyle blog Little Big Bell. She hosted a garden party in collaboration with npower as part of Macmillan Cancer Support’s “Summer Lights” campaign. I had to create a range of cakes to match the colour palette of Geraldine’s different lighting designs. 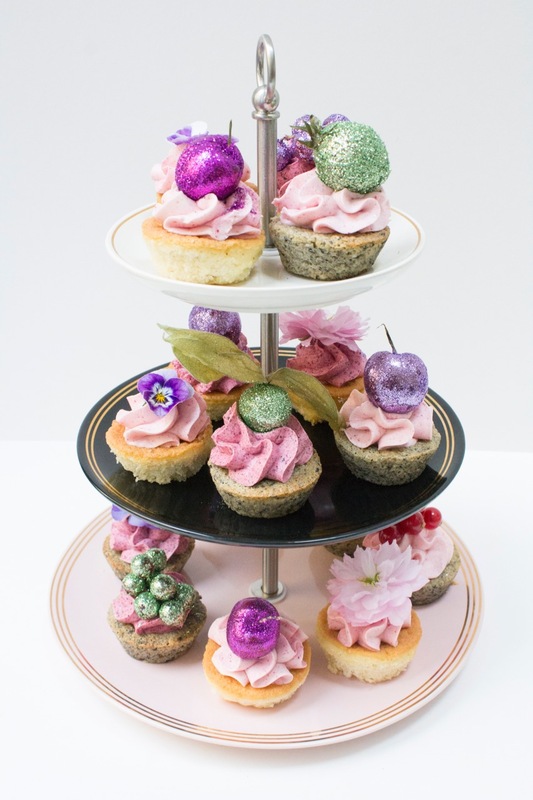 I decided on a pink tiered centrepiece and these cute canapé cakes. 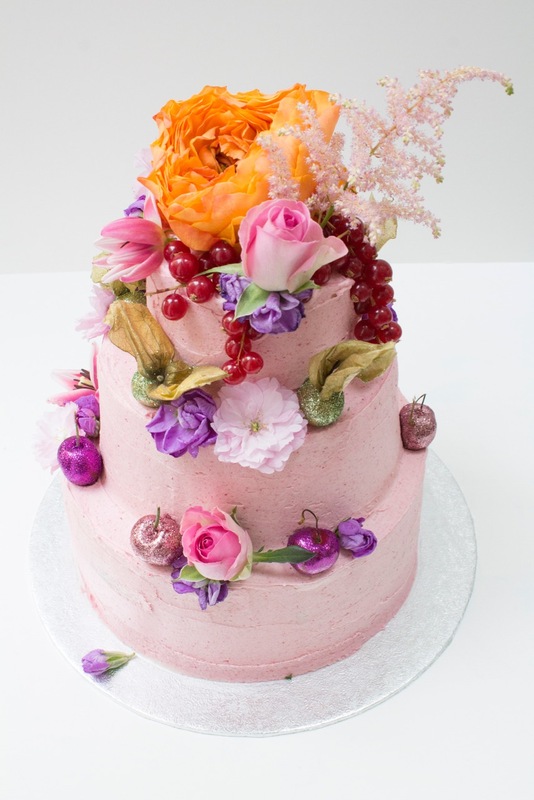 I decorated them with bold, colourful flowers and berries. 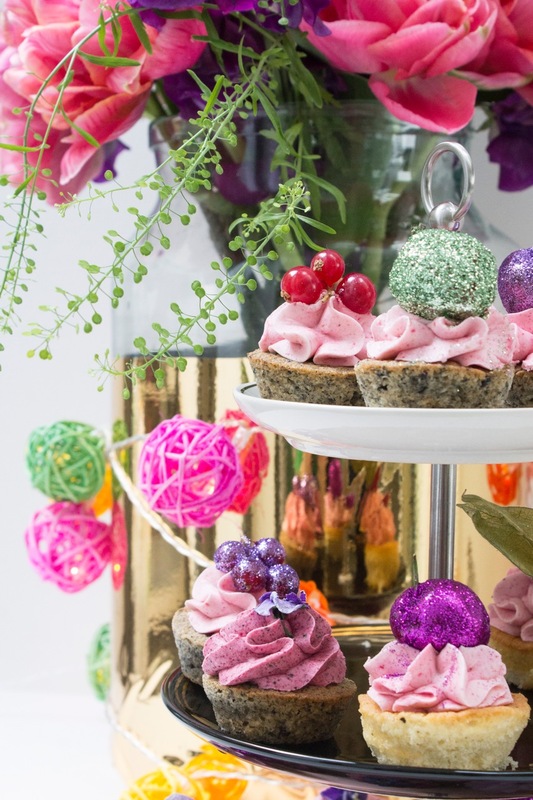 I also used lots of glitter, so they sparkled in the lighting and reflected off the gold vases. 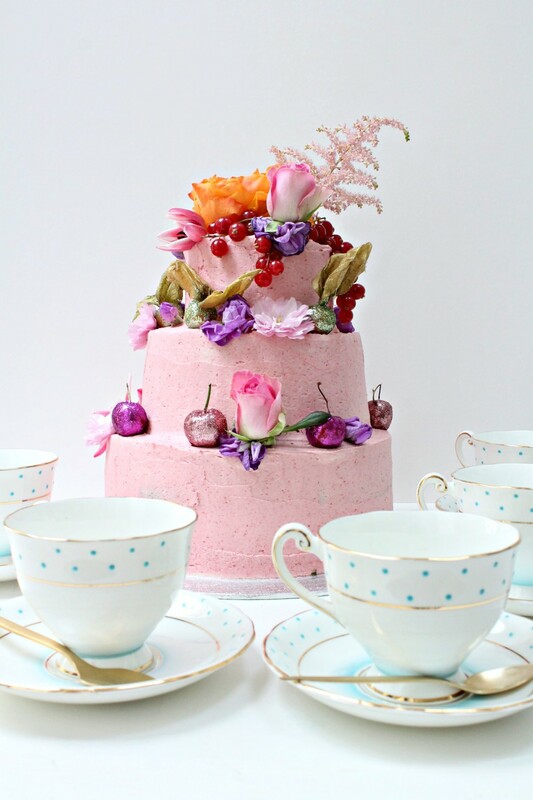 Take a look at Geraldine’s blog to read more about the party and see her fantastic designs. 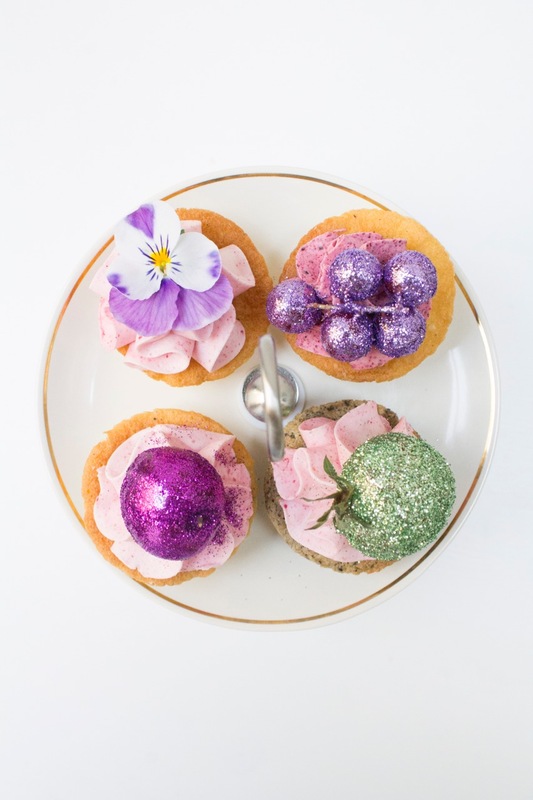 To find out how to host your own “Summer Lights” get-together in support of Macmillan, head to their campaign page here.